Xiaomi Mi 9 Explorer Edition Appears with Quad Camera Setup Spotted in Leaked Shot - Playfuldroid! Last year, Xiaomi had launched the Xiaomi Mi 8 along with the advanced Mi 8 Explorer Edition with translucent rear and Mi 8 SE upper mid-range phone. The Chinese manufacturer will be launching the Xiaomi Mi 9 on Feb. 20. While there is no news on the existence of the Mi 9 SE, the company is rumored to debut the Mi 9 Explorer Edition alongside the Mi 9 handset. A leaked shot of the Mi 9 Explorer Edition is now doing rounds on Weibo. It shows that it will be arriving with a quad camera setup. The Xiaomi Mi 9 is rumored to feature a 48-megapixel Sony IMX586 as the primary sensor in its triple camera module. It is speculated that the triple camera setup will also include a depth sensor and a wide-angle lens. The Mi 9 Explorer Edition may include the same sensors in its quad camera setup and its fourth lens could be a ToF lens. 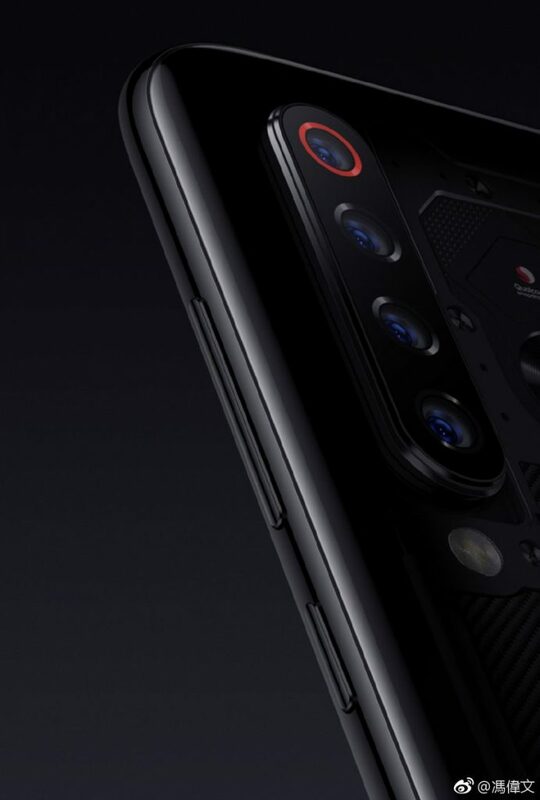 The Mi 8 Explorer Edition had featured 3D structured light module for 3D facial recognition. However, there is no confirmation on whether the Mi 9 Explorer Edition will be equipped with 3D Face ID sensors. Instead, the phone may only feature an in-display fingerprint reader. The Xiaomi Mi 9 may release with a price tag of 3,499 Yuan whereas the Mi 9 Explorer Edition may cost 4,999 Yuan.